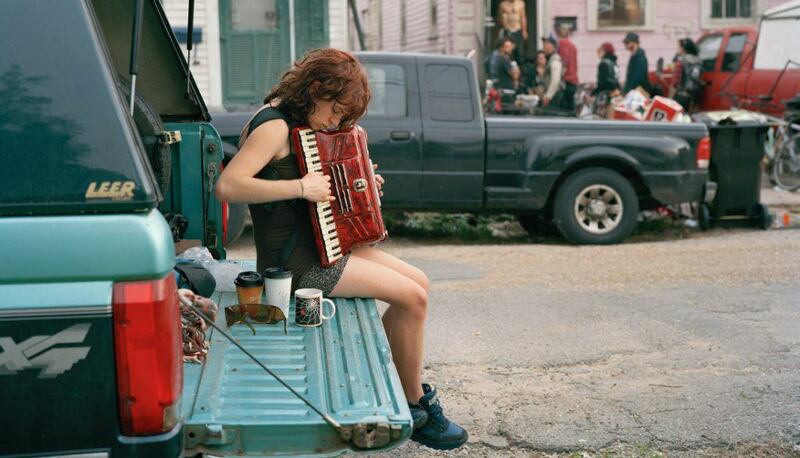 Above: Justine Kurland, Claire, 8th Ward (detail), 2012, Archival pigment print, © Justine Kurland, courtesy Mitchell-Innes & Nash Gallery, New York. The road trip is an enduring symbol in American culture. Ever since cars became widely available, the road stretching over the horizon has represented a sense of possibility, freedom, discover, and escape — a place to get lost and find yourself in the process. The American road trip has appeared prominently in literature, music, and movies, but it has had an especially powerful influence on photography. As photographers have embarked on trips across the United States with the express purpose of making work, they have created some of the most important photographs in the history of the medium. The Open Road explores the photographic road trip as a genre. It traces the rise of road culture in America and considers photographers on the move across the country and across the century, from the mid-1950’s to present day. Beginning with Robert Frank’s seminal odyssey, The Americans, and including such renowned work as Ed Ruscha’s Twentysix Gasoline Stations, Inge Morath’s The Road to Reno, Lee Friedlander’s American Monument, Garry Winogrand’s 1964, Joel Sternfeld’s American Prospects, Stephen Shore’s Uncommon Places, and Alec Soth’s Sleeping by the Mississippi, The Open Road is a visual tour de force, presenting the story of photographers for whom the American road is muse. Exhibition organized by Aperture Foundation, New York. David Campany and Denise Wolff, curators. This project is supported, in part, by an award from the National Endowment for the Arts. Sponsored in part by the City of St. Petersburg, the State of Florida, Division of Cultural Affairs and the Margaret Acheson Stuart Society. Community support is provided by the Tampa Bay Times and WUSF Public Radio. Hit the road with the #mfaOpenRoad Spotify Playlist compiled with suggestions from the MFA staff and our Facebook followers. Organized by Aperture Foundation, New York. Our Store and Café are open to the public. Admission not required.